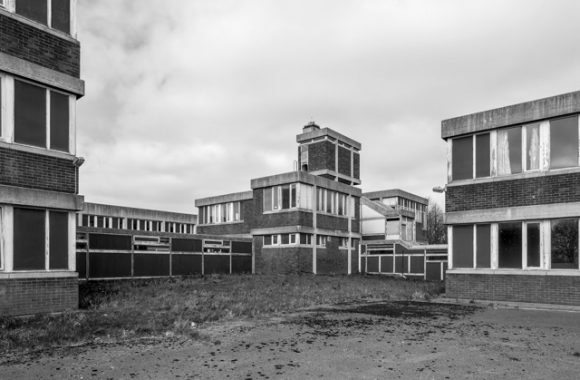 We were shocked and angry to hear of the demolition of the former Park House Secondary School in Tinsley, Sheffield, while it was being assessed for listing by Historic England and have renewed our call for an interim listing process to protect such buildings during this vulnerable period. “Once again a building with huge potential for reuse has been demolished whilst the listing process was underway– highlighting the need for interim protection whilst research is carried out and a decision taken,” said Catherine Croft, Director of the Twentieth Century Society. The school was listed at Grade II on 4 October 2017 but it was later learned that a substantial amount of demolition work had already taken place and the building was then de-listed. Historic England had conducted a thematic study of England’s schools constructed between 1962 and 1988 and as a result a number are being recommended for listing. This included Park House School, an application which C20 Society had fully supported. Opened in 1964, the school was built for the City of Sheffield Education Committee as a mixed four-form entry secondary school accommodating 680 pupils. 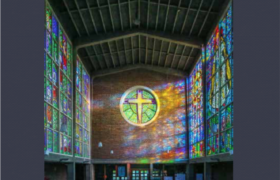 It was located on a plateau on the crest of a steeply falling site off Bawtry Road on the east side of the city and was laid out with a ‘campus’ plan featuring four detached blocks clustered round a quadrangle and linked by glazed walkways. Rather than an entrance hall, it had an entrance lobby which connected to the circulation system, a characteristic feature of schools designed by this practice. 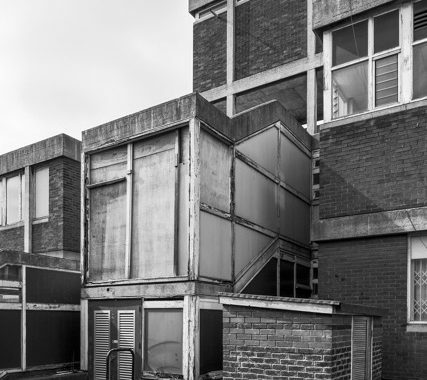 It was built in the New Brutalist idiom of which Lyons, Israel and Ellis were noted exponents, with exposed frames of white concrete and recessed infill panels of red Ibstock bricks consistently used for all the blocks. A prominent water tower adding a vertical emphasis is a characteristic feature of the practice. The school closed in 1995. From 2002-2014 the school was again in educational use as Jamia Al-Hudaa (Sheffield), an independent Muslim boarding school for boys of 11 to 18 years old. It has been vacant since 2014. The work of Lyons Israel Ellis Gray was seen in the 1950s and 1960s as epitomising a new, optimistic and modern approach to architecture known as Brutalist. 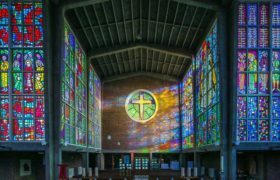 The practice was responsible for the construction of some 25 schools, institutes of higher education, hospitals and housing projects, and served as something of a finishing school for a generation of British architects, including James Stirling, James Gowan and Neave Brown. 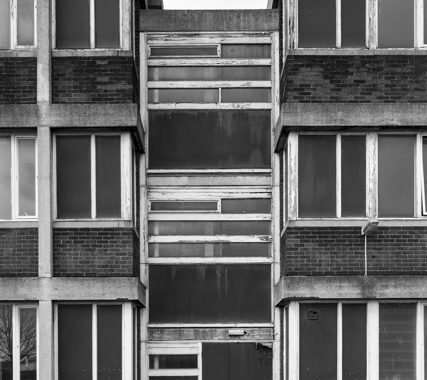 The C20 Society is supporting an online petition (http://bit.ly/2xdOjiq) calling on the UK government to alter listed building legislation. This would introduce the provision of ‘interim protection’ to buildings that are being assessed for listing status. It believes this to be an important and necessary mechanism, and relevant to buildings of all periods. Under the current system, buildings that are being assessed are vulnerable to harmful alterations or demolition by owners who do not wish to see their property listed. Interim protection would allow Historic England time to assess buildings and ensure that they are not damaged irrevocably to prevent their designation. One of the earliest and most high-profile cases taken on by the Society was the Firestone Factory on London’s Great West Road. This landmark art-deco building was demolished over a bank holiday weekend of August 1980, in anticipation of its approval for listing. More recently, the Carlton Tavern (Frank J. Potter, 1920-21), a pub in London’s Maida Vale, was illegally demolished in April 2015 while an application for listing was awaiting approval. In a rare, bold move for a local authority in this position, Westminster Council demanded that the pub was rebuilt in facsimile. Had the local authority been unwilling to take these steps, there would have been no independent protection available to safeguard the building, and its demolition could not have otherwise been challenged retroactively.